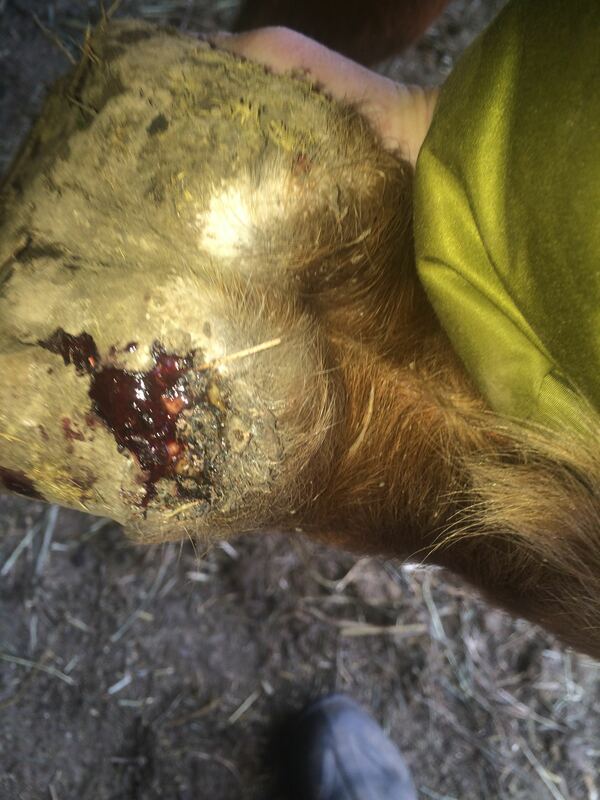 How do horses find so many ways to hurt themselves? This looks pretty painful, but not as bad after I cleaned it up. At least the ground is frozen so he’s not standing in mud.